Allow a second appointment during an appointment's downtime. 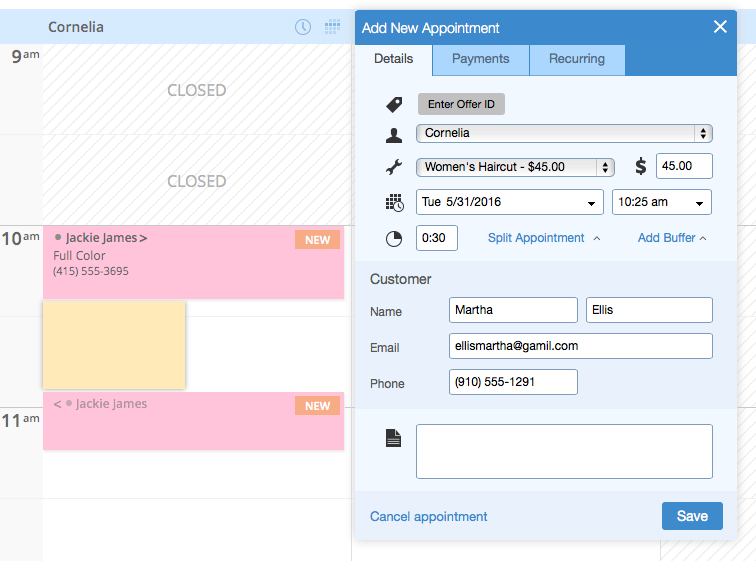 You can use the processing time or downtime of an appointment to squeeze in another client using Genbook's Split Appointments feature. You can create services that have built-in downtime or breaks, during which another appointment can be scheduled. 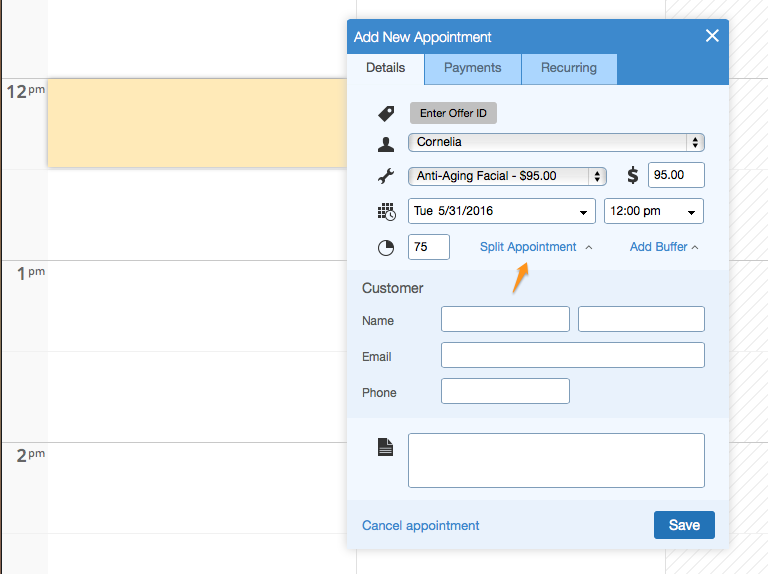 The easiest way to set up Split Appointments is from the Service Details page of the service you want to split. 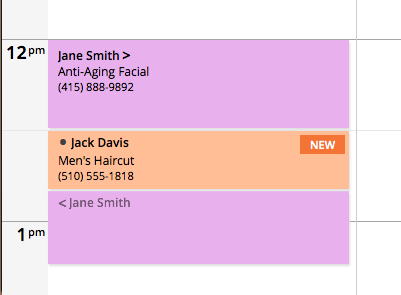 Choose the Split Appointment option under "Appointment Type", then enter the amount of time you need to spend with the client at the start of the appointment, the amount of time you'll have available while the client's color is processing (or their facial mask is setting, etc. ), and the time you'll spend with that client at the end of the appointment. Don't forget to save your changes. In the example below, our stylist spends 25 minutes applying the client's color, then the color processes for 30 minutes (during which time the staff member is available for another appointment), and finally the stylist returns to the wash out the color of that initial client. 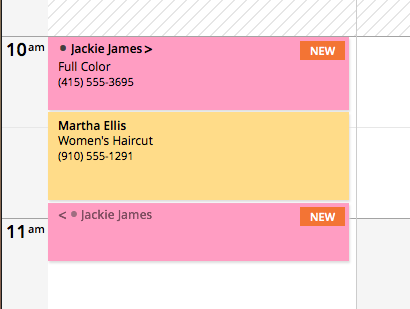 Here's what an appointment booked for the Full Color service we just set up would look like in the Calendar. To book an appointment during the downtime of a Split Appointment, simply click anywhere in that open space, select a service that will fit, and adjust the appointment start time as needed. Enter the customer's details as usual, and save your changes. 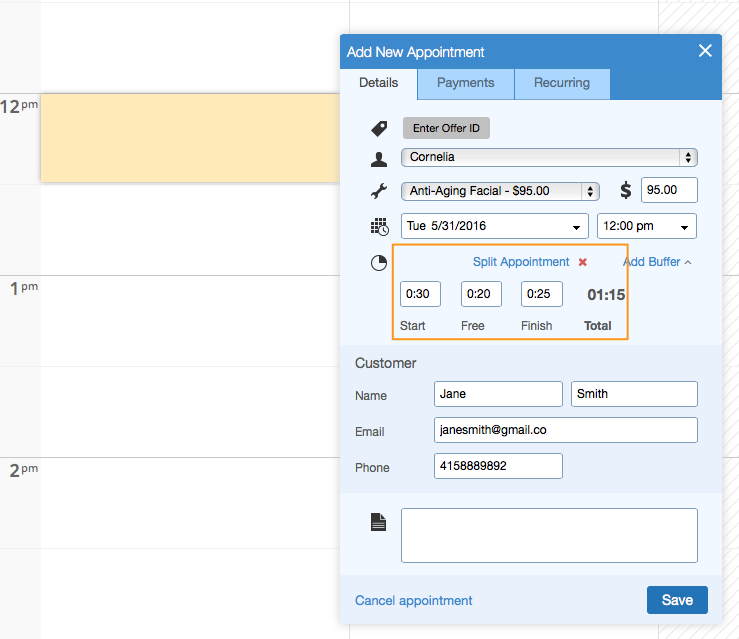 You can also create split appointments on an ad hoc basis directly in the calendar, even if the service you're booking isn't set up that way on its Details page. First, you'll need to click the "Split Appointment" link on the "Add New Appointment" form. Next, you'll enter the amount of time you need at the start of the appointment, the amount of time you'll have free, and the time needed to finish the service for the client. The 20-minute time slot that's free in the middle of the above split appointment can then be booked by a client who needs a service with a 20-minute duration. TIP: If you don't want to use the downtime of a Split Appointment to take another client, you can put a "block" there instead. If you don't see the the "Block" option when hovering over the time slot, just click in the space. Adjust the start time and length (if needed), without selecting a service or entering client details. 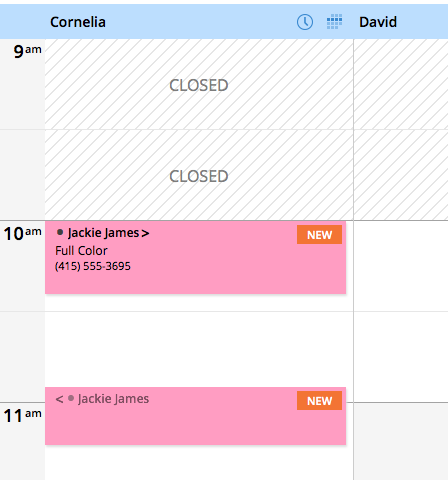 and save the appointment (a Block is basically just an empty/blank appointment).